Hey everyone! Little life update here. 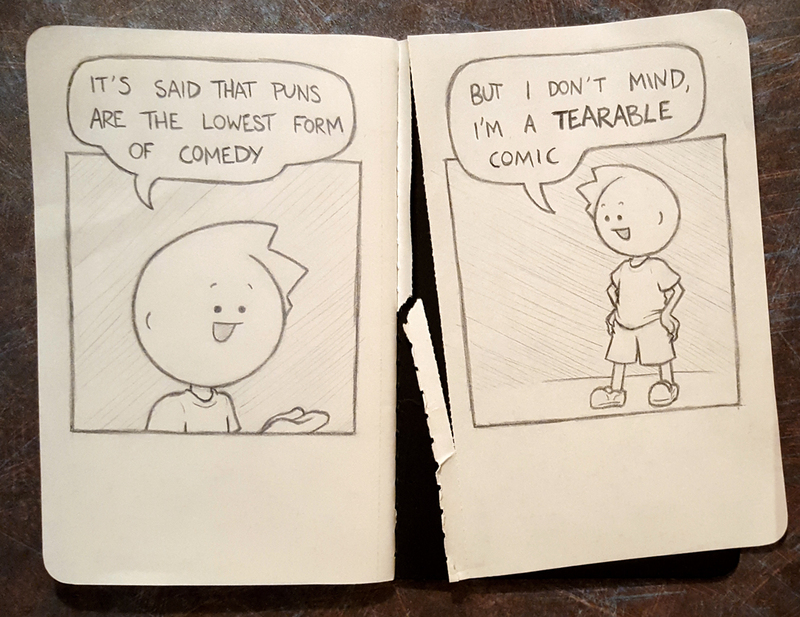 I am currently in between apartments and living out of a suitcase while working 12+ hour days and can't make a normal comic, so instead here's an awful pun I managed to draw during breaks. Regular comics will hopefully be back soon!